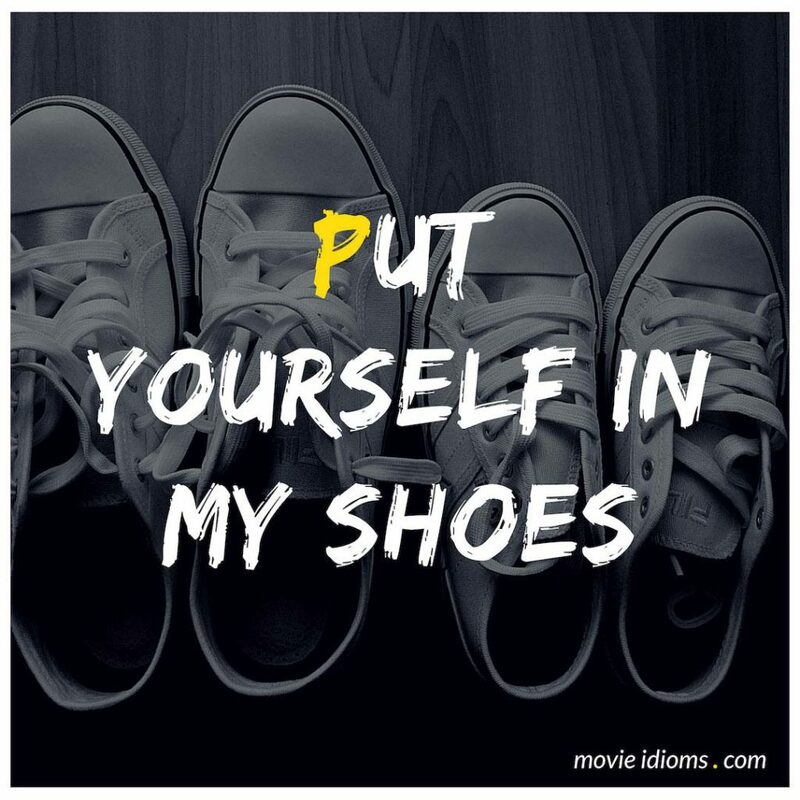 What does put yourself in my shoes mean? Frasier: I am surprised by your gall! At the last moment, you not only bail on me, you expect me to give up my own ticket? Niles: Please, Frasier, put yourself in my shoes. I have to do something for Mel. Every restaurant in town has been booked for weeks. I ran into Archie Wilfong today. He told me he had to settle for two seats at the counter at The Salad Experience! What would you suggest I do? Frasier: Bring your own wine and order the Spicy Caesar! Don Frank: Put yourself in my shoes. Can you imagine what it’s like to have the phone ring and it’s your dream job on the other end? Robin Scherbatsky: Yes, I can. Good luck in Chicago, Don.